With just over two months until the 2015 Rugby World Cup kicks off, a selection of the best rugby players in the world have taken time out of their preparations for the biggest competition in the sport to spend time passing their knowledge and experience on to youngsters. 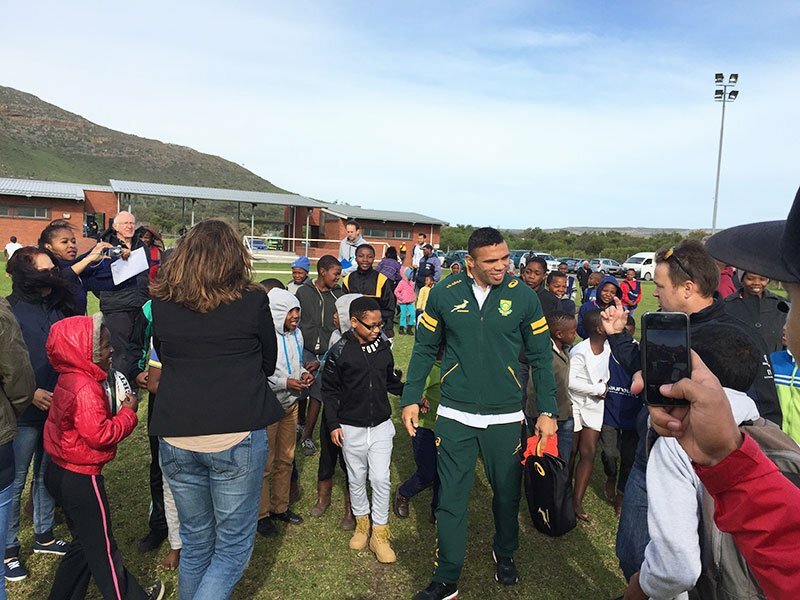 Laureus ambassadors Bryan Habana and Schalk Brits visited the Laureus-funded Vuka Rugby programme at their base in the Masiphumelele Township in Cape Town, South Africa. Habana, who is setting his sights on Springbok glory 20 years on from their historic 1995 World Cup win, said: “These young people are the real heroes of our sport. Speaking with the youngsters, hearing how they have used rugby as a tool for change in their life, it’s inspirational and it’s what Laureus is all about. Nelson Mandela, the Patron of Laureus, said at the first Laureus World Sports Awards in Monaco: “Sport has the power to change the world. It has the power to inspire. It has the power to unite people in a way that little else does. Sport can create hope where once there was only despair.” This became the philosophy of Laureus; the driving force behind its work and behind the creation of the Laureus Sport for Good Foundation. Rugby is one of the best sports for making an impact on the young. It is about working together as a team, helping to increase their self-esteem and giving them a chance to improve their lives. Rugby can promote the positive effect that sport has in tackling some of the world’s most challenging social issues, such as discrimination, juvenile crime, lack of education and health issues such as obesity. That’s why Laureus is supporting #RUGBYFORGOOD to make a difference in the different communities across the world. Based in Cape Town, South Africa, the Vuka project is a multi-layered competition that aims to get as many kids in the township and Cape Flats areas off the streets and on to the sports field. The project targets 56 schools, many of whom have not played rugby in recent years, and are setting up a league that is played weekly. This competition is called VUKA which means ‘awakening’. The schools and communities are often very weak and vulnerable. Gangs, drugs, teenage pregnancies and AIDS are also prevalent in these communities. 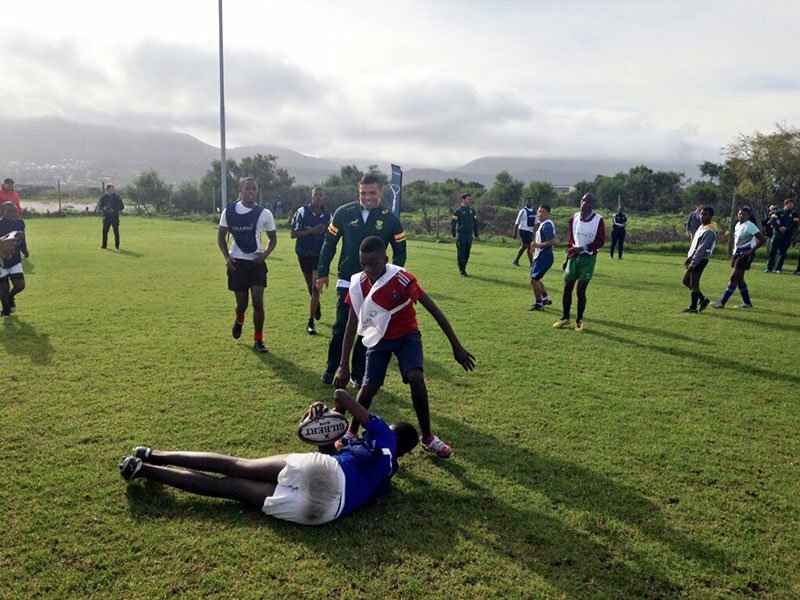 To help combat these issues, the project has started a life skills program called Cool Play, which uses rugby as an analogy to learning critical life skills.